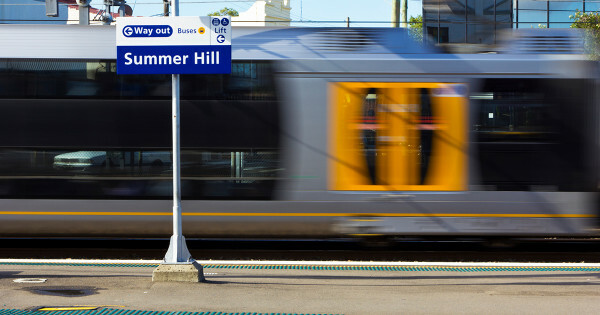 Living close to a train station in Sydney can be a welcomed convenience, particularly if you don’t have a car—but like everything else in the harbour city it can also be super expensive. In fact, data from Flatmates.com.au showed that renting a room within 1km of a station was more expensive than the suburb average in 69% of suburbs considered. Epping saw the biggest disparity between station and suburb, where a room within 1km of the station averaged $283, a whopping 66% more than the suburb average of $170. Not all is lost, however, with the data also showing there are still a few affordable options left. Of the cheapest stations to rent a room within 10km of the city, Hursltone Park came out on top with a weekly private room average of just $247 per week. Croydon and Dulwich Stations rounded out the cheapest three with average rents of just $248 and $256 per week, respectively. Average room prices for the 10 cheapest all fell under the $300 mark, a far cry from the cities most expensive station Circular Quay where rooms fetch an average of $542 per week.